Japanese animation, video games, and manga have attracted fans around the world. The characters, the stories, and the sensibilities that come out of these cultural products are together called Japan Cool. This is not a sudden fad, but is rooted in manga―Japanese comics―which since the mid-1940s have developed in an exponential way. In spite of a gradual decline in readership, manga still commands over a third of the publishing output. The volume of manga works that is being produced and has been through history is enormous. There are manga publications that attract readers of all ages and genders. The diversity in content attracts readers well into adulthood. Surveys on reading practices have found that almost all Japanese people read manga or have done so at some point in their lives. The skills of reading manga are learned by readers themselves, but learned in the context of other readers and in tandem with school learning. Manga reading practices are sustained by the practices of other readers, and manga content therefore serves as a topic of conversation for both families and friends. Moreover, manga is one of the largest sources of content for media production in film, television, and video games. Manga literacy, the practices of the readers, the diversity of titles, and the sheer number of works provide the basis for the movement recognized as Japan Cool. 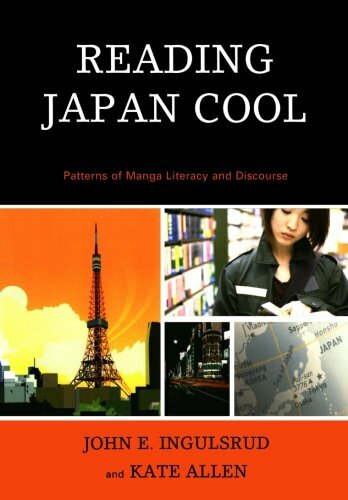 Reading Japan Cool is directed at an audience of students of Japanese studies, discourse analysts, educators, parents, and manga readers. If you have any questions about this product by Brand: Lexington Books, contact us by completing and submitting the form below. If you are looking for a specif part number, please include it with your message.